Galatasaray Odeabank Istanbul took a valuable win against Szolnoki Olaj to stay atop Group N with a 2-1 record, midway through the Last 32. 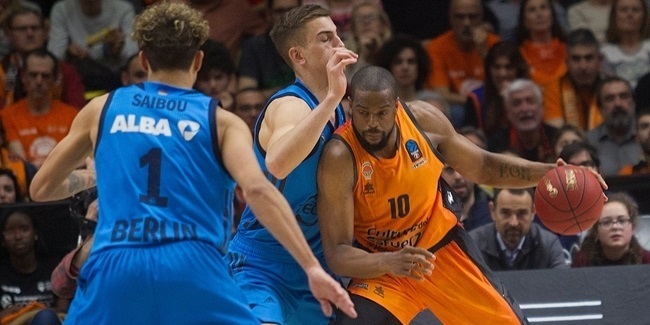 The main pillar of that home win was big man Stephane Lasme, who earned weekly MVP honors thanks to his index rating performance of 35, the highest among all Eurocup players this round. Lasme netted 20 points, pulled 12 rebounds, dished 4 assists, had 1 steal, 2 blocks and drew 4 fouls for a great all-around performance. This has also been his best Eurocup performance so far in his debut season in the competition. Two players with index rating performances of 34 each, Julian Wright of Dolomiti Energia Trento and Lasme's teammate Blake Schilb, followed. 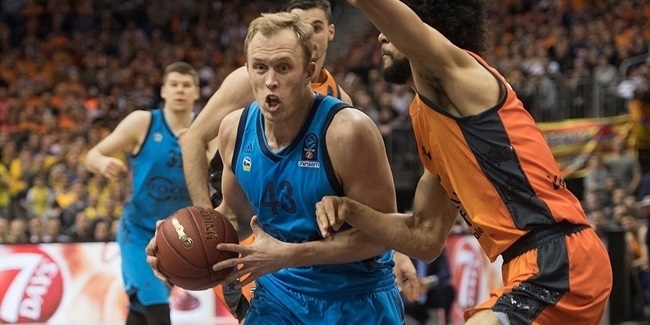 Dragan Milosavljevic of ALBA Berlin completes the top performances of Round 3 with his 32. Keith Langford of Unics Kazan appears again among the top names of the week thanks to his 30 points against Maccabi FOX Tel Aviv - including 4 of 6 threes -, as he became the top scorer this round. Dairis Bertans of Dominion Bilbao Basket followed suit with 27 points. Two players shared honors with the most rebounds each, 13, this week: Nikola Markovic of PAOK Thessaloniki (6 defensive, 7 offensive) and Latavious Williams of Unics (6 defensive, 7 offensive). 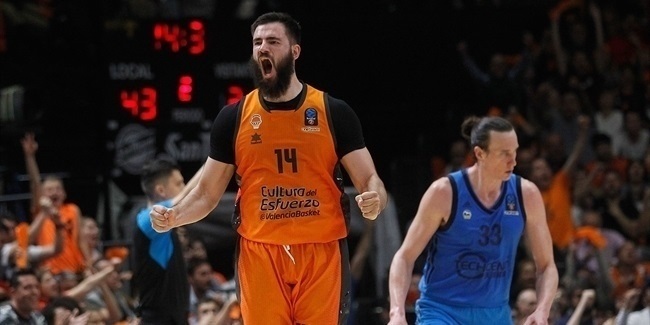 Two players topped the assists rankings with 11 apiece, Courtney Forson of Banvit Bandirma and Albert Oliver of Herbalife Gran Canaria Las Palmas. In the defensive end, Christopher Kramer of EWE Baskets Oldenburg had as many as 8 steals and Wright stopped as many as four plays with his 4 blocks, the highest this round.